February Break Drivers Ed only has a few spots left! Our next Driver Education course starts February 19th and is almost full! If your son or daughter is at least 15 years and 9 months, now is the time to sign up for Driver Education. one 2-hour parent/guardian class, attended by a least one parent (certificate valid for 5 years). Parents/guardians are responsible for an additional 40+ hours of on-the-road practice. Students should complete the program within one year. CLASSROOM MATERIALS ARE SUPPLIED Also recommended: RMV Driver’s Manual – download it here. Copies are sold at RMV offices ($5) or Community Education ($4). ELECTIVE CREDIT: CCHS students may earn one elective credit for completion of the classroom program. PARENT CLASS: We strongly encourage parents to attend the RMV-mandated parent class before their child begins the Drivers Education program or early in the program, as we will review our program’s policies, procedures, and the expectations of the parents and students. 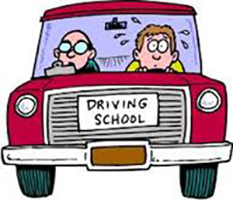 Parent meetings are FREE for parents of students in the CCHS Drivers Education Program. There is a $25 fee for parents of students who attend other Driver Education programs.